What’s in your party ‘glam arsenal’? Does it include hair extensions? Mine didn’t. I guess I never really saw the need for extensions when I can grow it longer free of charge! 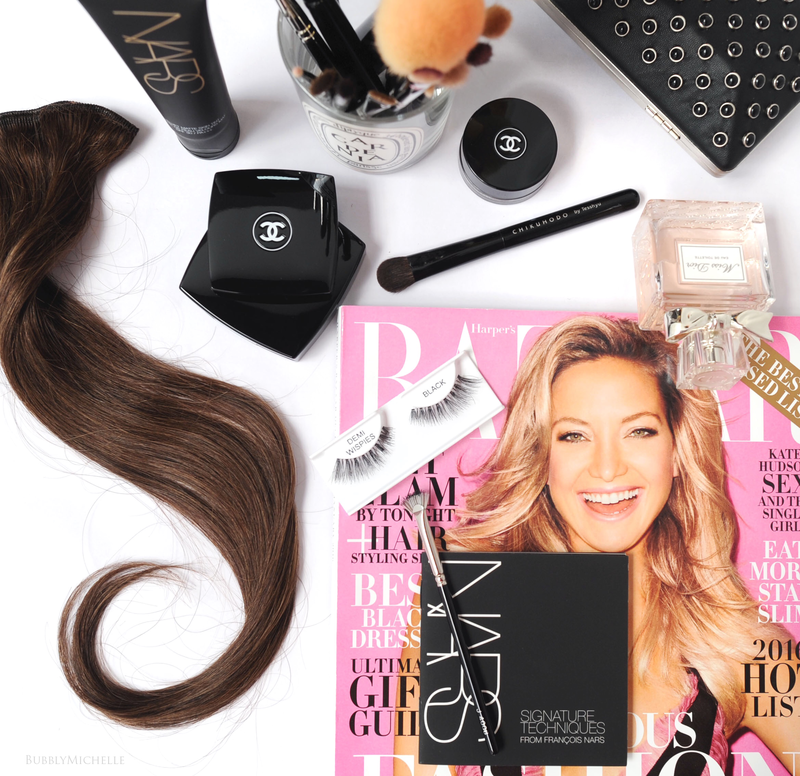 Late last year though I was contacted by the PR person Blair from Irresistible Me hair extensions and was asked if i’d like to try some in exchange for a review. Till then, it had never crossed my mind using extensions and I figured why not do a blog post and enlighten all of you who are new to extensions just like me! So I followed the procedure for selecting the extensions (there’s a video so you can get an idea of the colours available which is SUPER helpful) and they sent them over! You can select from a range of colours and various lengths and weights. The heavier the hair extension, the thicker it will look, just as real hair does (which btw they are, in fact real hair). I went for a sensible length, around 2-3 inches longer than my normal hair. But then I got a trim in time for the holidays and my hair was much shorter than I expected. So I gave these a go! 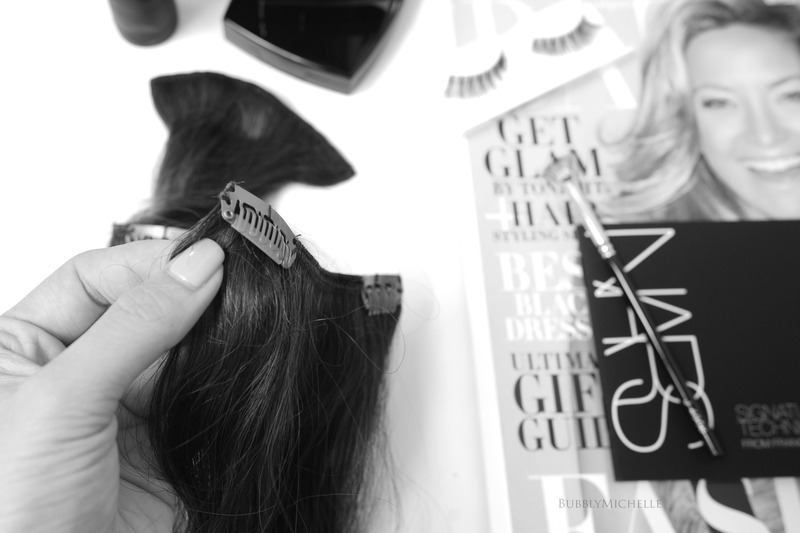 What a hair extension essentially is, is a strip of hair that can be attached to your own hair via a clip. It doesn’t damage your hair in any way and stays secure throughout wear. They don’t come off even if you tug. Seen above are various sizes of extensions. The larger ones go through the widest part of your scalp. Let’s say you sectioned off a portion ear to ear, that’s where you’d attach them. Similarly the single clip version is a good size to add a little bulk just above the ear, so the volume isn’t just concentrated at the back. 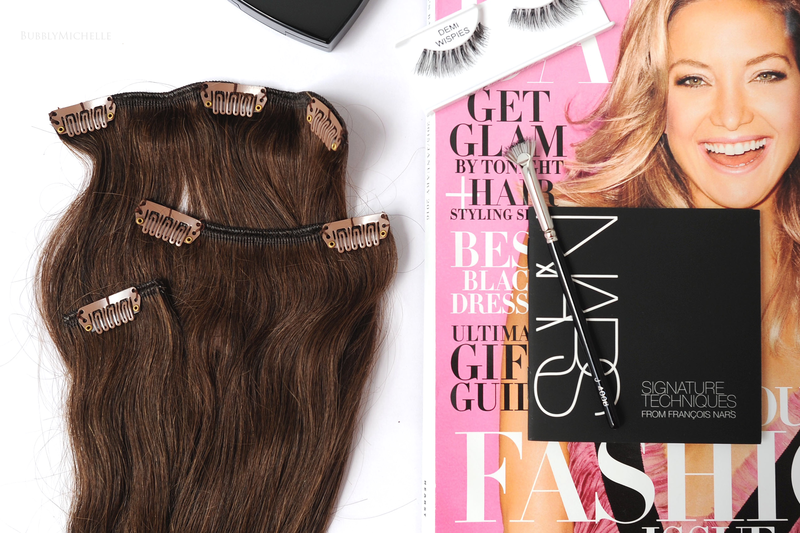 In essence every set of hair extensions come with several pieces as above. I believe I got around 8 in my Irresistible Me set, which was more than enough for an extremely voluminous look. The clip is snapped on as closest to the scalp (the root of the hair) as possible and is virtually undetectable (there are plenty of Youtube videos in case you want a tutorial on how to attach these). As a demonstration, here’s my before and after. I didn’t use all the extensions in my set. Just one 3 clip extension close to the nape of my neck, the largest 4 clip from ear to ear and just two 2 clip sections above each ear. If you want the back of the head fuller, you can always add one more 3 clip set closer to the crown. Just remember to keep these around 2 inches away from any partings so you don’t see the clip when your hair moves. Yup! The results are pretty amazing. You need to try them to see and feel the difference, and I do enjoy the extra confidence my longer, fuller hair gives me 🙂 It’s like makeup basically! Extensions are a quick way to uplift your regular hair style for a more glam look. Maintenance is easy. They can be washed, combed and styled like normal hair. If you have flat hair, adding extensions will instantly make your hair look fuller. It’s not just for length. Sensitive scalps may notice itchiness once the extensions are off. I figured it was the clip and the weight of the extensions tugging at my natural hair that caused it. These particular extensions would only suit someone who prefers a layered look. If you’re looking for a blunt cut style or want the thickness of the entire length of hair to be equal, these aren’t for you. They do gradually thin towards the ends. Overall I’d say i’m pretty pleased with these. I get to experiment with longer hair without having to wait till my hair grows out! And since I do miss my long hair (only drawback is my longer length always looks so flat!) these are the perfect solution. Length with bulk. 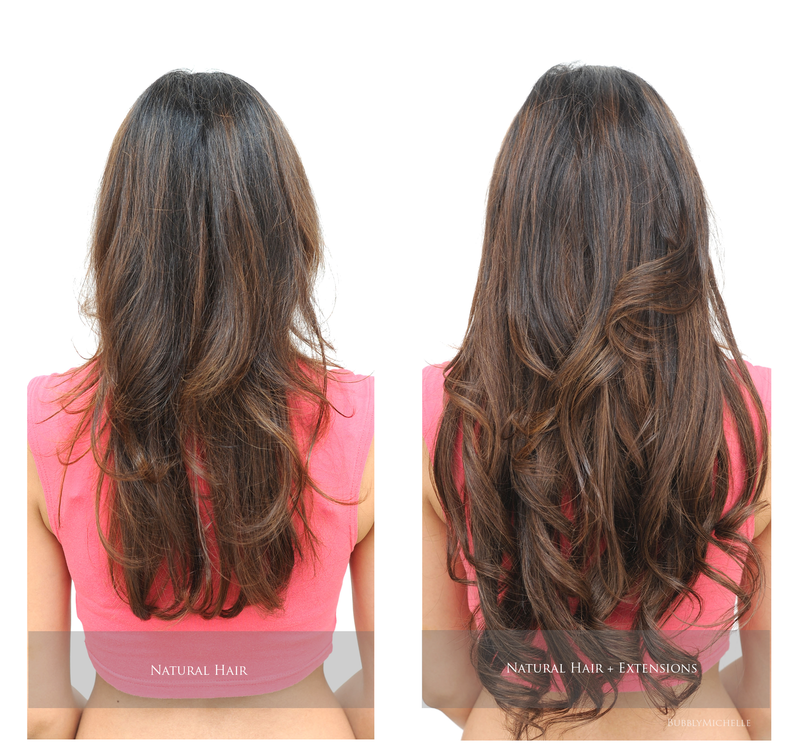 The prices vary depending on the length and thickness of the extensions. which colour did u opt for chocolate brown or medium brown?